An explosion of love as fiery as the sun! This collection of deep crimson hues radiates romance to the fullest! 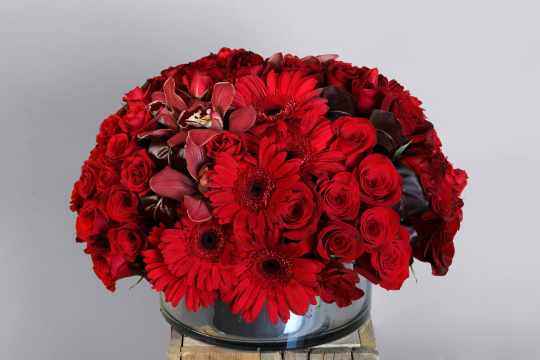 This message of passion is made up of vibrant Gerber Daisies snug tight against royal red roses, finished off with exotic Cymbidium Orchids.